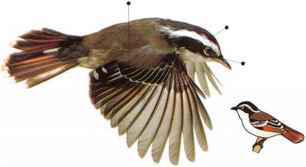 Like many babblers, this species often forms groups of about five to 15 birds, which sometimes form part of the large, roving flocks of mixed bird species occurring in hill forests. 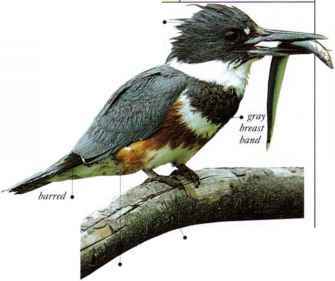 They are quick and lively feeders and take insects both by gleaning them in the foliage and by catching them in mid-flight. • NEST A Clip nest made of bamboo leaves and rootlets, often wrapped in moss, and hidden in a bush. • DISTRIBUTION Mountain ranges from E. Himalayas to Malay Peninsula.